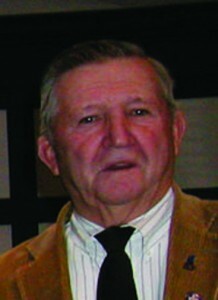 There had been a lot of people wondering if Sussex County Councilman, Sam Wilson, would be seeking a third term or not. Well that was answered recently, when he officially filed for re-election. It would seem his hand was forced with the entry of another Republican, making it known they would be seeking the second councilmatic district seat. Sam Wilson filed only days after being contacted by Lisa Hudson-Briggs, as a courtesy, to inform him of her intension to run for the seat Mr. Wilson currently holds. Lisa Hudson-Briggs, is a life-long Delawarean, who is recently retired after thirty-three years with the state of Delaware. In an interview, on The Dan Gaffney Show, on Delaware 105.9, she stated her reason for running was a desire to give back to Sussex County, her home, and to work to ensure, that Sussex County remained a viable place for families to live and grow. For the future of her children and grandchildren, and for all the citizens of Sussex County. This means Sam Wilson will be facing a primary in September, something he may not have counted on, but maybe should have. Mr. Wilson has made his reputation on being the most conservative member of a Republican controlled council. He has often self-described as a property rights conservative. His supporters see themselves as the small government, anti-regulation type of conservatives, and that Sam Wilson represents them well in that role. However, considering some recent turns at the County Council level, many have begun to wonder if Sam Wilson is truly the property rights conservative he claims to be, or is he just another big government, faux-conservative, which we have been seeing more and more of, coming from the so-called TEA movement? You know the type, oh they are all for small government until they are government, they are against all regulation, until they are the ones passing the regulations. They are the first ones to cry foul when government overreaches, unless it is in their favor. I have followed Mr. Wilson’s two terms with interest, first because he used to be my councilman, and then because he is the titular patriarch of the Greenwood MOB, he has the support of all the same people who support the likes of Cindy Green, current Register of Wills, Jordan Warfel, current Chair of the 35th RD, Bob Mitchell who is foolish enough to try to run to the right of Rep. Dave Wilson in a primary. And Sam Wilson was one of, if not the most, supportive person, of Eric Bodenweiser, who won a primary for the state Senate, but was forced out of the race due to being charged with child molestation, and later pleaded no-contest, and was sentenced. Mr. Wilson once describe Bodenweiser as, “being like a son to me”. I was contacted by Mr. Wilson on Friday, coincidently following the on air interview of Mrs. Hudson-Briggs. I was unable to take his call at the time, but returned it later that evening. When he answered, I identified myself and said I was returning his call, that he had called me earlier that day, he did not remember having called me, he sounded tired and disoriented. I am sure this is due to his recent health issues, more about this later. 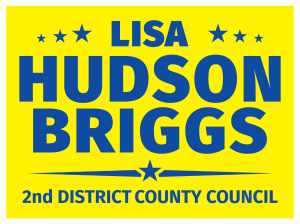 In the conversation he asked me if I wanted Lisa Hudson-Briggs to replace him, I said I was supporting Lisa, he repeated his question, “so you want her to replace me?” I said he had asked me a direct question, and I had given him a direct answer, yes I was supporting Lisa. This brought the conversation around to why I personally feel Lisa Hudson-Briggs would be well suited for the County Council, and one reason why I feel it may be time for Sam Wilson to take some time off. I pointed out to Mr. Wilson, he has always said he was a property rights person, but I could not understand how someone who claims such a thing, could have voted against a land owner’s rights to develop their land, if they met all of the requirements. Mr. Wilson stated he would have preferred the farm in question, to have gone into farmland preservation. Well, sorry Sam, that is not your role as councilman. Sam Wilson is fond of pointing out, he is the only farmer on the Council, he seems to see his role as the protector of all things farming. Well again, sorry Sam, but in case you haven’t noticed, things change, and you have more than just farmers living in your district, and your votes affect the entire county. So you see, this so-called small government, property rights, less regulation conservative, took it upon himself, as an agent of government, to decide that a private land owner did not have the right to do as they saw fit with their own land, and he would have preferred the farmer enter into a government-run program, paid for by tax payers, and the land owner would still be forced to pay taxes on the land. Doesn’t sound much like small government to me. I informed Mr. Wilson there were a lot of people upset by his vote on the Overbrook Town Center, and this was a reason why I was supporting Hudson-Briggs. On a side note, he asked if anyone would be running against County Council President Mike Vincent, since he too voted against OTC. I stated, I had heard rumors, but nothing concrete. But I can tell everyone, I know a lot of people who were surprised and disappointed by both. I think this makes the question of Mr. Wilson’s health, a relevant question. I can only imagine those closest to Mr. Wilson would be advising him not to run. His family and close friends. A man his age, with his medical history, runs a high risk of future medical issues, considering the stress of campaigning, both in a primary, and possibly a general election. And what if he were to be re-elected? What if he has another health issue? Then what? How long does county business get put on hold for then? How are the people of Sussex and the 2nd District best served? I have often heard many of Sam Wilson supporters talk of the need for term limits, I personally believe we have term limits, they’re called elections. I believe Sam Wilson is an excellent candidate for the use of such a term limit. I believe for the good of Sussex County, so we can grow the economy, and be a friend of business, and to actually protect property rights, it’s time for a new view-point in the 2nd District. 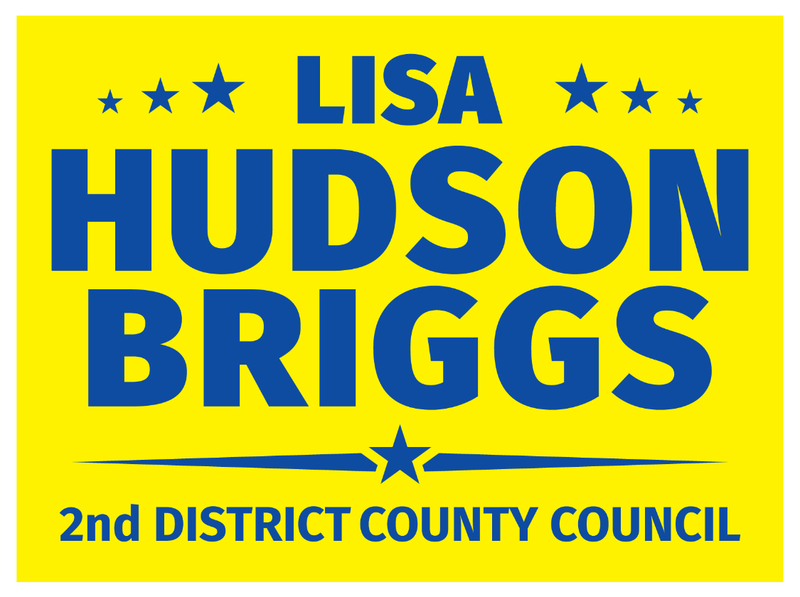 I believe Lisa Hudson Briggs is the person to bring a new perspective to the County Council, she may be the only woman on the Council, since Joan Deaver is retiring, and the Republican primary for her seat, is a four-way testosterone race, and the Democrat in the race, though a woman, is an environmental activist, who would vote against all development. We in Sussex need to ensure economic growth with a plan, and we need people who do more than mouth conservatism, but who will vote that way, I believe Lisa Hudson-Briggs is that person. 27 Comments on "Sorry Sam"
Concerning the traffic congestion in our area, Sam Wilson asked: “Are we supposed to get around in helicopters now?”…….Best thing that I’ve ever heard any county council member say. That alone could get him reelected. Great article Frank. Good read. First, I met Mrs. Briggs at the recent Republican convention, sat next to her for a couple of hours. In retrospect I must smile because I mentioned that maybe it was time for her HUSBAND to run for an office. “He’ll never do that,” she responded. Little did I know that SHE was considering a run but I say…..and I say this with a great fondness for Sam Wilson….HALLELUJAH! Lisa was just as nice, intelligent and sophisticated as they came. I can’t vote for her, but I would. And while I’m at it, let’s discuss these elected officials who think no matter their physical condition, they are entitled to the job as long as they want. Of course it’s up to the people in Sam’s district but didn’t we have this issue before with Vance Phillips? Who too is a fine man (but with many issues, we know this) but he was handicapped to a point almost of not being able to do the job. Sam was also at the Republican convention in Dewey Beach and he looked pretty good for having suffered a stroke. But he needed a walker to get around, I didn’t know about his prior heart attack, he’s going to have many health issues to deal with in the future. My sister had a horrible stroke, and her stroke was much worse than Sam’s but a stroke is a stroke. It doesn’t stop with the awkwardness of movement and yes, there are some cerebral issues that must be dealt with.. I wish Sam well in the future in terms of health and happiness. I wish Lisa Hudson-Briggs to win his seat. FBH, it may have been a good sound-bite, but doesn’t offer a solution to the conflicting problems. How do we continue to grow both population, not a problem with people wanting to move here, but also economically, i.e. creating jobs, and keeping up the infrastructure? We need new blood to think outside the 1950s box of all agriculture that Sam lives in. We need council members who can better work with the state, and not simply criticize. Lisa Hudson-Briggs is that type of person. Who the Republicans nominate in the 2nd and 3rd districts are none of my business, but I do take exception, Frank, with your comment that 3rd District County Council candidate, Democrat Leslie Ledogar is an “environmental activist”. Leslie is a retired environmental ATTORNEY. She is an expert on environmental law and therefore understands the legal issues and the need to BALANCE property rights and environmental concerns. Environmental concerns include water run off, infrastructure and all the issues that the people of the 3rd District care about-issues that twice elected Joan Deaver. What is the fear in having someone who is professionally trained to look at all sides of an issue in office? Or do we do in the 3rd what we see in some other districts-elect developers, realtors or county planners who act only in the interest of unbridled development? Excellent points! It’s why we have elections. Do we want an ENVIRONMENTAL ATTORNEY to represent the 3rd District of Sussex County and BALANCE(?) land use decisions? Or someone who will listen to Attorneys and BALANCE the issues with their perspective. I don’t get to vote in this election, but I’d hazard guess that Joan Deaver reincarnated as an environmental attorney is going to be a tough slug. Your Candidate moves left, away from the reasonable center present in the 3rd District. Good Luck, you need it. Well Mitch, unless you are going to tell me that she was simply an environmental attorney for the money, one would assume she is passionate on the issue, and thus be perceived as an activist. Wasn’t meant as a slur. However, I am not sure I would look for balance in that way. Instead of achieving a balance on the council by having council members who hold opposite views on issues, maybe what we need are people who have a balanced way of addressing the issues, be they land use or otherwise. I say again, I believe Lisa Hudson-Briggs is that person. Leslie is a retired environmental ATTORNEY. True, Ledoger is a former environmental attorney, but is also a current environmental activist. You see, most people can do two things at a time, like walk and chew gum. If you look at her record of activism- and I have- on development issues she is against, against, against. Luckily, she is going to have some heavy competition in her council race. It should be quite easy to portray her as an environmental radical in the campaign. Hardly any one gives a damn who you endorse. If you think that you have any influence in the GOP , you are delusional. Your support for a candidate doesn’t amount to hill of beans. HRR, thanks again for visiting with your intellectual input, and valuable insight. Please stop by again when you have refueled your sprightful tank. We need as much environmental protection as we can get. The inland bays are an embarrassment. There are lots of signs around the inland bays indicating contamination from human waste bacteria that makes the water unsafe for swimming or eating shellfish. Every stream that flows into the inland bays is ditched for agriculture, full of sediment and has large piles of chicken crap piled next to them. Every POS developer is bringing in plastic beige generic houses on flat bed trucks for illegals to put together while they deforest at will, destroy wet lands and have endless runoff from city transplants having toxic death sprayed on their lawns so they can look like they did in the city they came from. Houses no local working person can afford so we get transplant tax refugee retirees. On Delaware Bay and its tributaries we have signs indicating the fin fish are contaminated with PCB’s and it’s unsafe to eat. Any reasonable assessment growth balance would indicate it’s way out of wack and we are rapidly creating an ugly polluted urban hell so parasitic developers can make a quick buck. We have no impact fees for any infrastructure, the county provides no parks and has no skin in the game for the ugly destructive mindless development they are rubber stamping. Mouse , not that it’s a silver bullet, but in the bays, one thing that would help is dredging the back waters and canals to allow for natural flushing. But it was the environmental groups who fight this. Helping the environment is not always about stopping things, but sometimes it’s about doing something. There have been advisories against eating fish from the bays as long as I have been alive…..PCBs were banned in the US in 1979 for crying out loud. That genie is out of the bottle. Regardless of what is done to “clean up” the waterways, it is likely the advisories will be with us for life. Manufactured housing is actually better for the bays than built on site homes. And the toxic death being sprayed on laws is nitrogen that then leaches into the bays causing algae blooms that then consume oxygen as they metabolize and die. There’s 2-4D as well which is the Agent Orange family of nasties. We have left quite a legacy for our kids. Destroyed fish resources, contaminated bays where much of the state’s large tourist economy is generated and ugly generic high density treeless beige over priced plastic houses that hurt my eyes. So sad people have such myopic vision. So mouse is against plastic homes, which means mouse would cut down more trees, oh wait can’t do that either. This is the real problem with environmental concerns, there is no answer that does not cause another problem. As for the flushing? Well getting the sediment into larger bodies of water dilutes them, thus lowering the parts per millions and the concentration in small areas. Environmentalists used to worry about water pollution, but it seems that all they care about now is water rising do to global warming. Forget the fact that humans have been dealing with sea level rise since the end of the last ice age. As far as cleaning up Rehoboth Bay? Another inlet would take care of that. You guys get caught up in these false choice thingies. I’m not against plastic houses. Just endless generic plastic houses. They attract the wrong element to quote James Watt who was referring to the Beach Boys. Trees can be cut sustainably. They don’t have to mow down every tree in the inland bays drainage system to build some diverse homes. We need to focus on sustainability. That’s the key to everything. The oceans are finite too. As most things, it’s complicated. An inlet would definitely help water quality in the bay but it is unclear what might happen to Bay water levels in places like Dewey. It could be ugly. Dredging is complicated as well. Dredge spoils have to be placed somewhere. If they contain nasty stable toxins, it’s better to leave them buried under sediment. The inland bays are inherently shallow even without the sedimentation problems in many places. A shallow bay will always have anoxia issues if it is continually flooded with nutrients and sediment. This in turn kills grass, shellfish and fish. It’s a delicate ecosystem and it’s in embarrassing poor shape. There’s already huge algae blooms this year. The bays are already screwed from the “economic development” Sussex has had so far. It’s time to simply declare them dead and move on. There are plenty of people who live fulfilling lives that don’t have a bunch of swamps around them, which is what we called them before they became “wetlands” around the same time that jungles became “rain forests”. Honestly, the way some people think, you’d think the world would end if we filled in bunch of mud and grass that’s no good to anyone anymore. I sort of agree with mouse about the plastic houses. It’s not that the plastic siding is that bad in and of itself; it’s that some are just cheap. I cut grass in some of those developments where the profit to the builder was the main criteria in the design. Places like Henlopen Landing where the houses are racked and stacked in a grid pattern, and every house is the same, but just configured differently. They go for like three to four hundred grand, and every time the wind blows, siding and shingles are strewn all over the place. Not surprising seeing that each house went up in like a week. It really is a disgrace at that price…. I would rather live in a trailer park than some of these new developments. At least they have some character. My advice to people looking for a nice development to live in, would be to look for places built by local developers, and not by builders that are publicly traded on the New York Stock Exchange. Why not dredge Indian River Bay and used the mud to fill-in Rehoboth Bay and then sell it to Jack Lingo for development? You could then have a road from Long Neck to Dewey and solve the Rt. 24 traffic situation, and the Lewes-Rehoboth Canal could become a bike path. What happens when every single candidate is drawing a State or County or some other taxpayer funded Pension , will any vote to require State or other Government employees or retirees to start paying their share of health insurance costs or scale back pensions? One thing that disappoints me about Ms. Lafferty is she doesn’t seem to recognize the potential disaster looming from Government Employee/Retiree/Disability pensions and benefits, or at least Ms. Lacey has never addressed the issue, maybe because she herself feeds from the taxpayer’s coffer. Ms. Briggs also seems to have the attitude that we need tax increases to cover pension increases and hold down her health insurance costs, not really who we need in the legislature. Pave the bay! Hey, a crappy 2 bedroom townhouse on asphalt in Dewey goes for a million. I hope Sam’s health improves. Not a bad idea, but it would take too much dirt, silt, etc to fill in the entire bay. Just build a bridge from Long Neck Road over to Burton’s Island and then over to the state park. You are just south of Dewey and can zip up to the town easy peasy. Kurt J. Lisa Hudson-Briggs is running for County Council not the legislature.